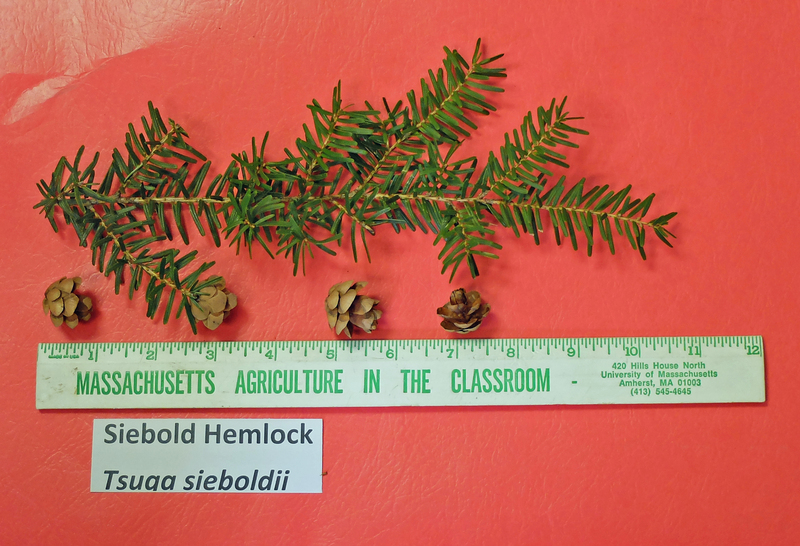 As leitmotif to last time’s “who does your garden grow,” we turn next to Siebold Hemlock, Tsuga sieboldii. 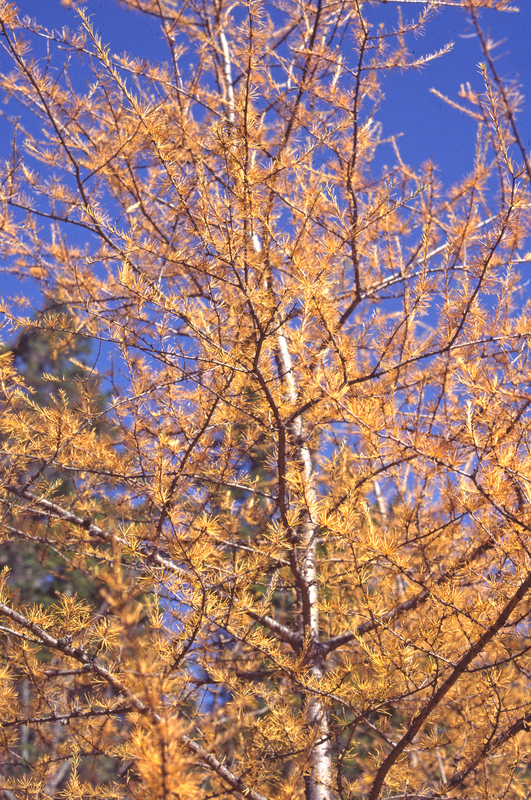 The genus Tsuga is small with just nine to eleven species, depending on taxonomic analysis, compared with the much larger genus Pinus, or pines. 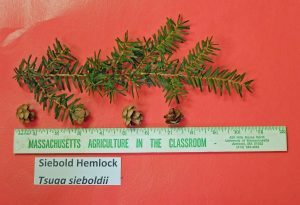 All hemlocks are medium-sized to large, evergreen trees, native to North America and Asia. 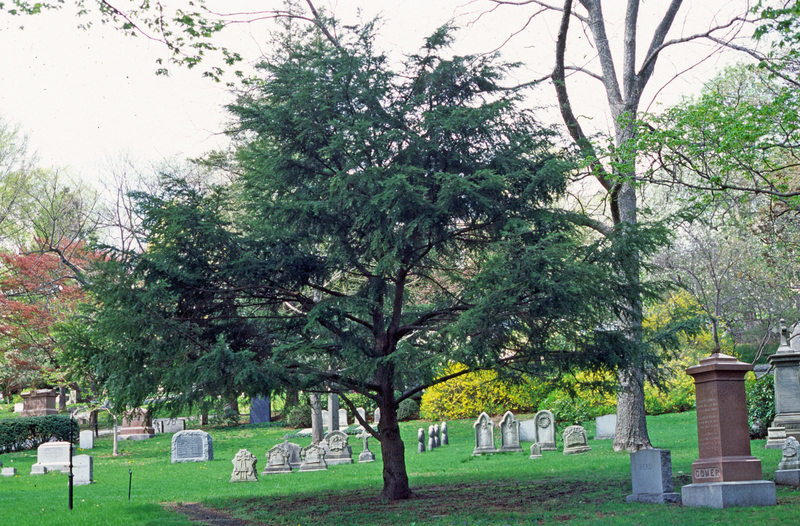 Previously we have reviewed Canadian hemlock, by far the most prevalent species growing at Mount Auburn. 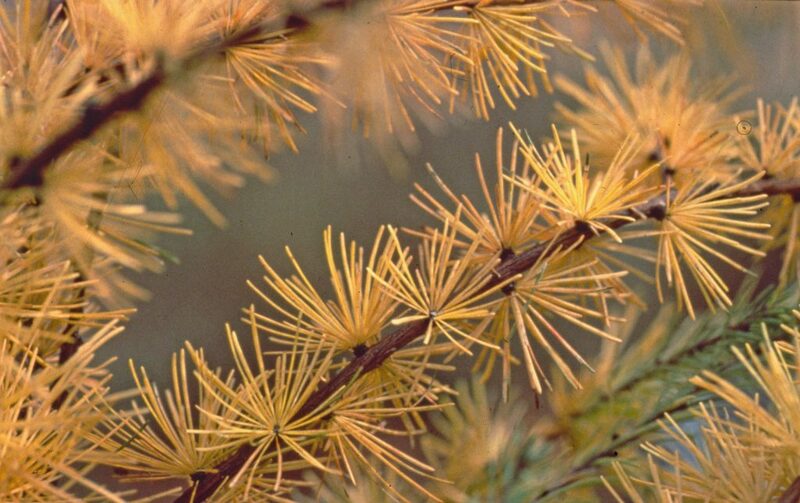 Conifers may primarily be defined as producing their seeds attached to scales of a woody cone (pinecone, spruce cone, fir cone, hemlock cone sequoia cone, etc.) and generally are evergreen. 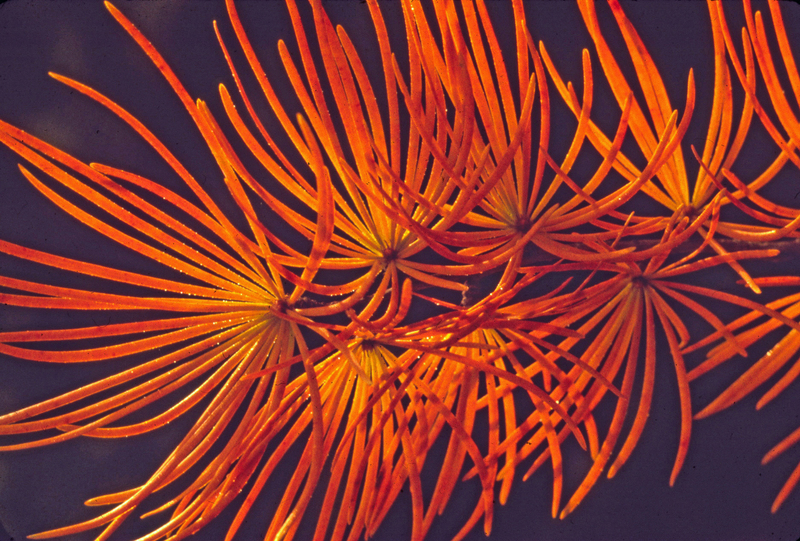 Willaims’ imagery alludes to deciduous plants’ autumn readying for winter. 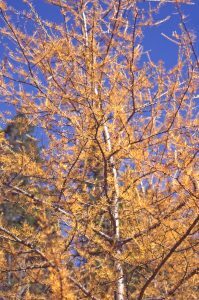 The larches, Larix sp. 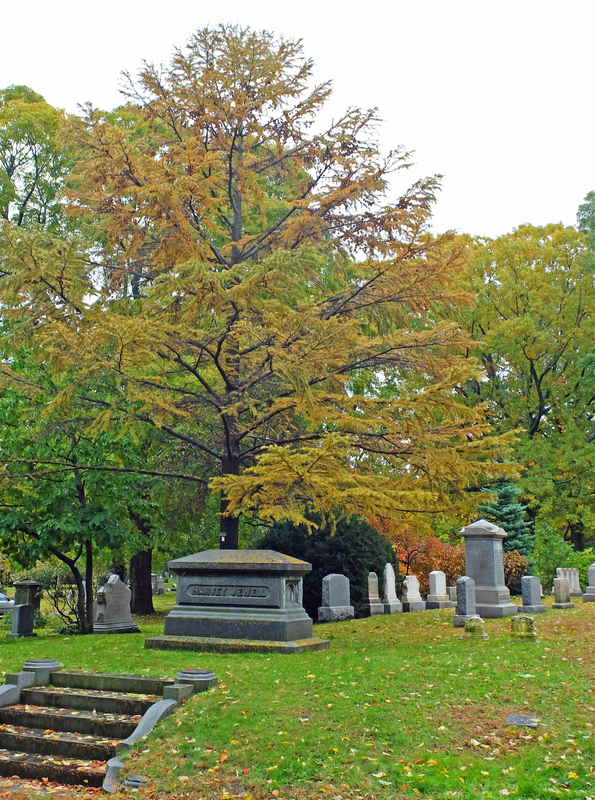 are the largest genus of deciduous conifers. 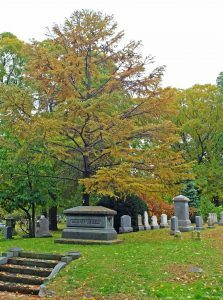 Three other genera of deciduous conifers in our living collection are Taxodium, Metasequoia and Pseudolarix.